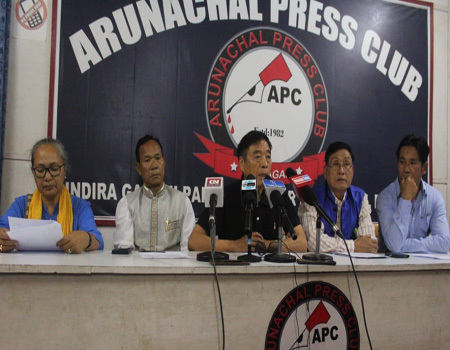 ITANAGAR, Feb 3: The All Kimin Youth Welfare Association (AKYWA) has blamed the Border Roads Organisation (BRO) for numerous accidents occurring on the Kimin-Potin road. because of the callous attitude of the BRO. “The road is dangerous but there is no sign warning the passengers,” he said. Two women and a young man sustained severe injuries when the vehicle they were travelling in rolled down the road, Kakum said, adding that the BRO must take the responsibility for the accident. He said the BRO was using “outdated materials, leading to delay in the road construction,” and that the BRO authority was not maintaining quality of work in executing the culvert, drain and retaining works. The people of the area are keen on having good roads; therefore the landowners themselves demolished all the structures after payment had been received, and some structures are being demolished by the Papum Pare district administration. 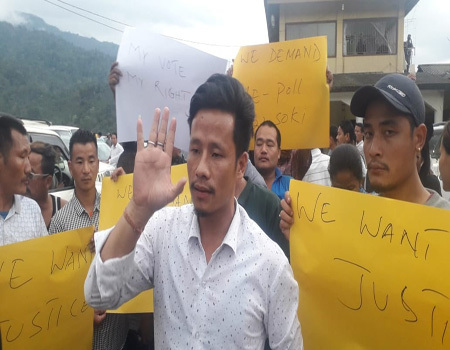 Despite such cooperation, the BRO is not deploying sufficient labourers and machineries on the ground, leading to delay in the road’s construction, Kakum said. The work on the road, costing Rs 9142.73 lakhs, was started in November 2013. It was supposed to be completed by March 2017.